Luffa (or loofah) is a vine fruit in the same family as the cucumber and they can be used as sponges for cleaning the house, the dishes, and perfect body scrubbers - perhaps you could grow it on your new tunnel trellis!). Best of all, they're a 100% biodegradable and sustainable tool - no plastics are used nor are they fished out of the ocean. 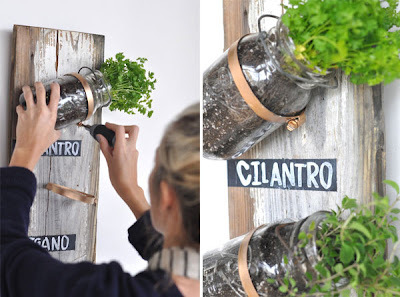 You can grow them in your garden! Simply wait for the fruit to fully ripen, then wait a little longer, until it over-ripens, and when the skin is brown and begins to come away from the inner skeleton or fibres pick the fruit and wait a day or so (perhaps even just one afternoon if its really hot and dry - after all, they come from Summer-fruiting plants), leaving it in the sun so it dries out fully, then break the skin open along a seam that stretches from end to end. Peel away the skin (and compost it) and shake the seeds out. One vine's harvest in the Summer can provide a whole years worth of defoliant bathroom sponges, dish cleaning sponges and general house cleaning scrubbers. Some have mentioned that after use they can harbour bacteria. Make sure after each use you give it a good clean by rubbing it under running water. They also survive a cycle in the dishwasher. Be that as it may, don't panic... if your loofah sponge is spoiled, compost it and grow some more! 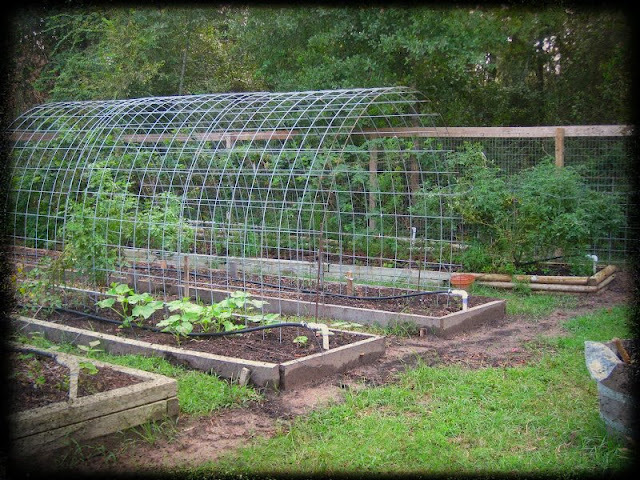 Got raised beds with a path in between? Use curved steel mesh with each side in the closest sides of two beds to act as a trellis for vine plants, like beans and make a tunel over the path. Beans are ideal to grow in the garden as they are leguminous, which means they fix nitrogen from the air into the soil, which directly benefit neighbouring, nitrogen-hungry plants like cabbages and other leafy plants. If you decide to go with beans, plant the bean into the soil, give it a generous watering, then don't water it again until it peeps its shoot out of the soil. You can prevent the rain from watering it, or manually water nearby plants until the shoot appears by covering it with a bottle cut in half. What do trees know that we don't? 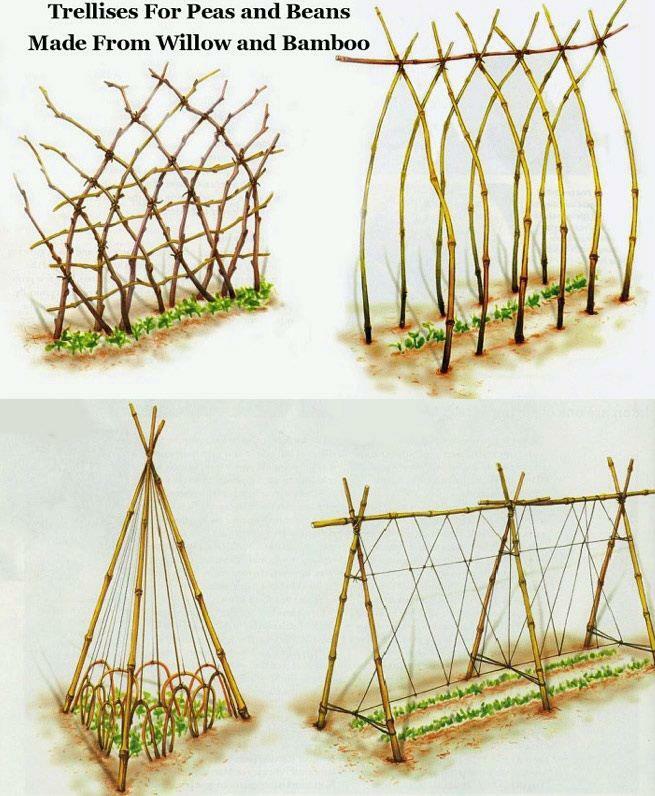 13-year-old inventor Aidan Dwyer realized that trees use a mathematical formula to gather sunlight in crowded forests. Then he wondered why we don't collect solar energy in the same way. Big oil companies need to watch out as this 13-year-old kid and his army of trees won't go down without a fight! This kid is perhaps an inadvertent Permaculturalist. He's made an observation on a naturally occurring system and adapted it to suit the needs for a system that is a direct human benefit. As Masanobu Fukuoka (Bill Mollison's inspiration) says, "It's all about making a thoughtful observation to avoid thoughtless labour." Space mason jars evenly on wooden board, and mark placement with a pencil in order to design and measure around. Tape off rectangles on board, and paint with chalkboard paint as pictured above. 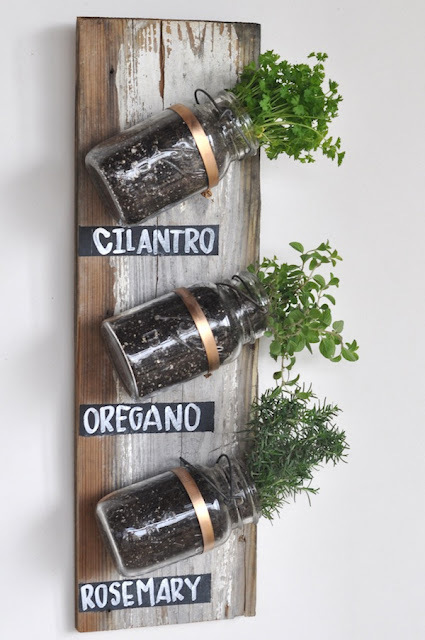 This way, you can switch out herbs and change their labels accordingly. Paint pipe clamps gold, and secure to wooden board by hammering a nail through the small holes in the pipe clamp. On back of board, nail in ring hangers and tie on hanging wire. Plant herbs in mason jars. 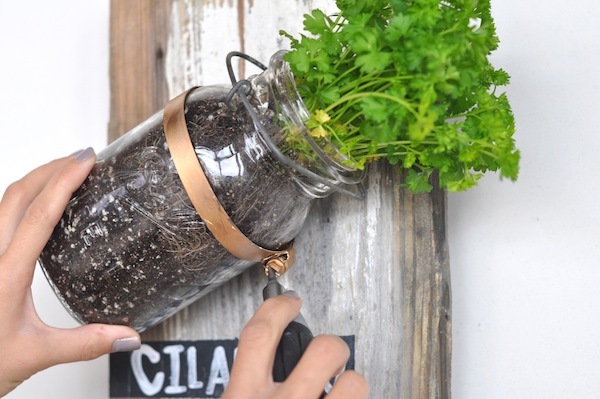 Place mason jars into pipe clamps and tighten with a screwdriver. 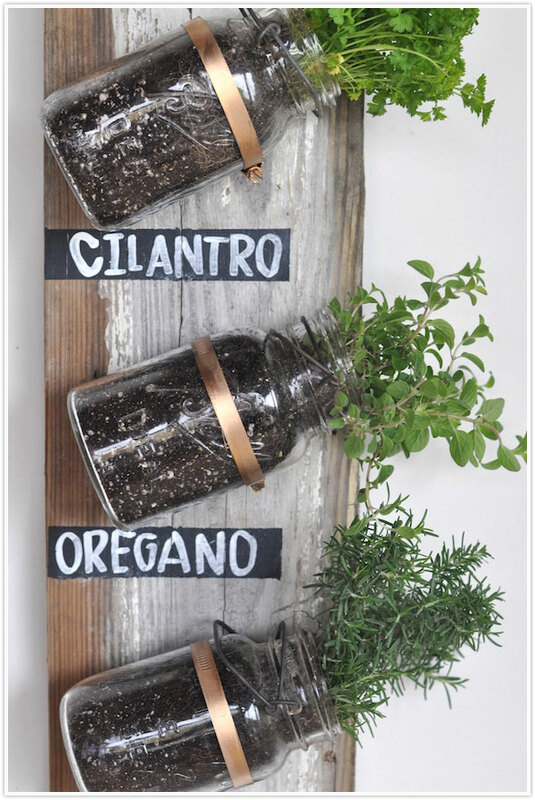 Nail picture hanger into the wall, and hang your herb display! WARNING: This video contains content matter which some may find disturbing. View discretion is required. It contains images of animals being skinned. "I ate a badger once that someone else had picked up because they wanted its skull. It was blown up like a horse on the western front and it smelt rather horrible. When I cut into it the flesh was green but nevertheless I persevered and stewed it. It made the house smell like the old fashioned mental hospitals used too, but boy it tasted delicious!" A beautifully shot short film about Josh Baker's approach to make Permaculture a part of his everyday life, and how the PDC has inspired him. 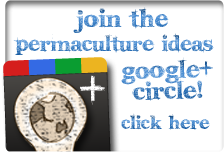 "[The Permaculture Design course I've been doing] was the thing that helped me make all those connections. It's not about gardening. It's not about farming. It's not about all those things that they thought it was about - it's about them. And how to make them a more effective person at what they're left to do. When all the walls come down you see connections everywhere. You see patterns everywhere. Or even pointing out patterns in nature and realising that you've walk by that your whole life and never noticed it. And how much sense that it makes." The team at Flashtoons are rolling out a series of free videos from Geoff Lawton. The first video is about how Geoff Lawton got started in Permaculture and how he used it to transform his burnt out farm to abundance and what a little permaculture knowledge can do for you. This first video has been a terrific hit and has had thousands of views and over 1,800 comments. The response has been truly phenomenal. See what you've been missing. The second video in the series looks at broader farmland and how to identify good quality land using Permaculture techniques to redesign the landscape back into abundance, to get it to work for you naturally. Geoff visits a number of poorly designed farms that are not functioning properly and explains ways you can harvest rainfall and store that runoff in a series of small ponds to rehydrate and nourish the land back to fertility. This information is not commonly taught in college or university. People pay thousands of dollars to learn this technique, but its your free. So make sure you watch this video. Its very good. The third video looks at the small urban space and at an amazing suburban backyard and how many vegetables, fruit and medicinal herbs can generated if the design is done right. Please note you need to register your email as not all videos were up at time of posting of this trailer. We'll email you when the next series of videos are up. Don't worry, you won't get spammed and you can unsubscribe safely any time you like. Each video is over 30 to 45 minutes long. When you signup, please leave a comment. Any questions you have should be directed to Geoff Lawton on his website, not here on YouTube. So get along to Geoff's website: geofflawton.com and sign up for this remarkably exciting opportunity! That's two things you don't need to throw away! 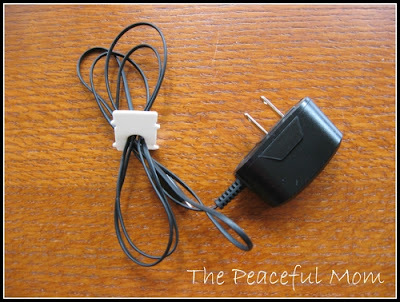 Quickly identify which cords are what, and a simple way to keep two or more cords together. 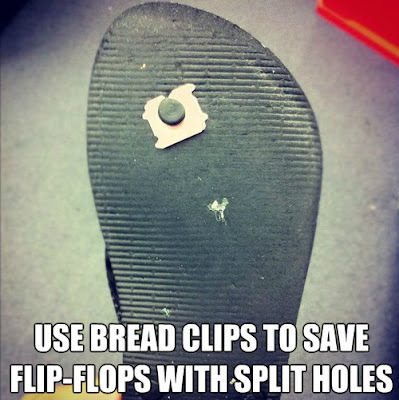 Use the bulldog clips for easy access to device plugs, use the bread tags to prevent them falling through. Stick the bread tag on the end of sticky-tape before putting it back in the drawer. You'll thank yourself the next time you use it. 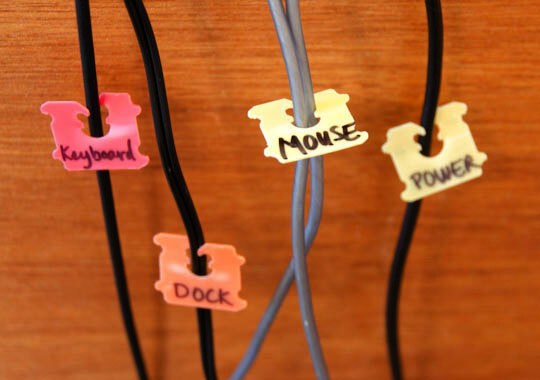 A bread tag used for cord storage makes more sense than those annoying twisty-tie things. 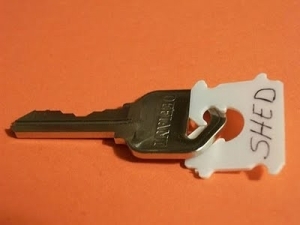 The bread tag: A simple key identifying solution. 1. 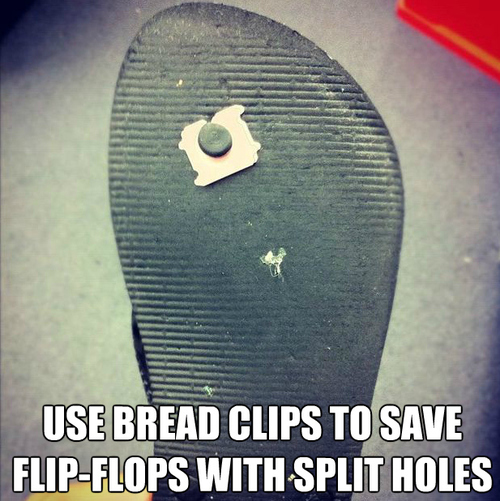 For those times when you can't find a guitar pick to save your life, a bread tab does the trick. 2. Collect different colored tabs and use them as poker chips. 3. Readers' comments on several blogs suggest using the tabs as scrapers when washing pots and pans and even for scraping gunk off stovetops and counters. 4. 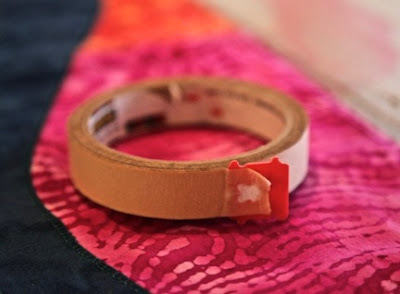 Hook a tab on items at your next garage sale instead of using costly self-adhesive labels that leave a sticky residue, to mark prices. - 26.5 million Americans live in a food desert. - People are dying from curable diseases. - Wheel chairs are being bought and sold like used cars. Dialysis centres are popping up like Starbucks. - Food is the problem and food is the solution. - Los Angeles leads the United States in vacant lots. The city owns 26 square miles of vacant lots. That's 20 Central Parks! That's 724,838,400 tomato plants. - You'd be surprised what the soil can do if you let it be your canvas. You just can't imagine at how amazing a sunflower is and how it affects people. - If kids grow kale, kids eat kale. If they grow tomatoes, they eat tomatoes. But when none of this is presented to them, if they're not shown how food affects the mind and the body they'll blindly eat whatever you put in front of them. - Free is not Sustainable. The funny thing about sustainable is: you have to sustain it. Krishna describes the 5 benefits of mulching and shows examples from around Solitude Farm. Mulching is an important permaculture idea - the most ancient and healthiest soils around the world have been benefitting from the natural process of mulching for millenia. Enjoy Krishna's informative and entertaining way to remind us how important mulching is. A great video for the beginner and an entertaining revisit for the long-time Permaculture enthusiast. Excerpt from Geoff Lawton's Urban Permaculture DVD showing a fantastic Permaculture system in a small urban space. Frank Fekonia enthusiastically shows us how to turn a dead fridge into a productive vegetable garden for people living in dry arid areas. Frank sourced these fridges for free. And what a great idea for a raised bed. So many benefits. sympaticoamori's indoor, miniature aquaponic experiment. Water is filtered, and oxygenated by a large submersible pond pump under a filter fabric, with charcoal all held down and together with rocks and pebbles. The plants starting this off are just a variety edibles and ornamentals, and will be feeding nutrients from the fish waste. This kind of system could easily produce salad greens, herbs and perhaps some strawberries. 1SIMPLEJONES takes us through his favourite method of how he gets sweet potatoes to strike a root and prepare them for planting. Each sweet potato has the potential to feed you, your family and your friends. An absolutely fascinating tour of the Seven Seeds Farm's keyline irrigation system. A very well thought out video showing how their design maximises the beneficial use of water resources of a piece of land. Keyline irrigation refers to a specific topographic feature linked to water flow; a design system that integrates keen observation of the land's shape and how the water runs with it. Permaculture seed wizard Don Tipping takes us on a 10 minute animated tour of the epic Seven Seeds Farm in the Siskiyou Mountains of Southern Oregon, USA. The farm was designed using Permaculture Principles and Keyline patterning. We follow the water system from top to bottom, and then the amazing downstream effects are revealed. This video was produced by Andrew Millison as part of the course content for his online Permaculture Design Course and Advanced Design Practicum, taught through the Horticulture department at Oregon State University. Please visit pne.oregonstate.edu to register for courses, or www.beaverstatepermaculture.com for more information.